Chocolate brings bliss in the life of chocolate lovers. If you are also the one, it is the time to ponder upon our Caramel Chocolate Cake. Being extra chocolaty and creamy this cake is perfect to satisfy the sweet cravings and bring delight in your special day. 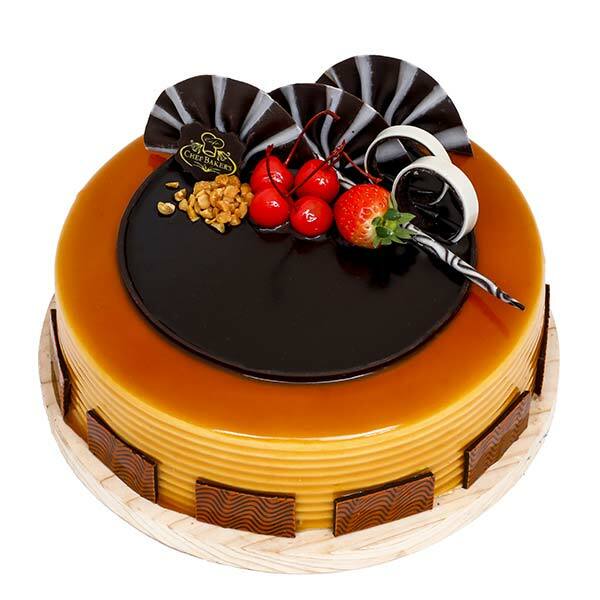 The sponge of the cake is flavored with chocolate, and the upper part is enriched with the richness of whipped cream. 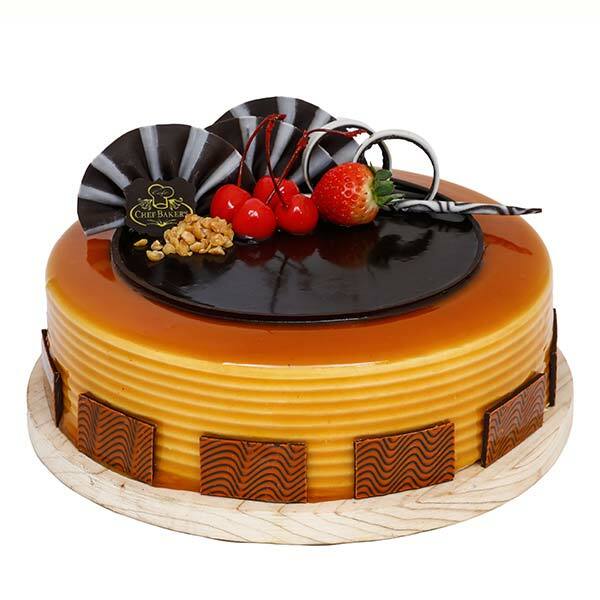 To endow more relish in the dessert the cake is equipped with homemade caramel. Lastly, to give the final touch, we have garnished the cake with some more chocolate. Extra chocolaty and deliciously tempting we at Chefbakers bake Caramel Chocolate cake with extra love. We use the apt amount of different ingredients and make sure it brings the bliss point. You may order cakes form Chefbakers at any time of the day and we make sure to deliver at the right time right at your doorstep.